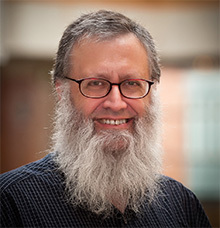 David Notkin, professor of computer science and engineering at UW. David Notkin, University of Washington professor of computer science and engineering, died April 22 at the age of 58. He will be remembered as a gifted mentor and world leader in software engineering. Earlier this year, the David Notkin Endowed Graduate Fellowship in Computer Science & Engineering was established at the UW in his honor. His family has asked that memorials be sent to several organizations, including this fund that supports graduate students and their studies. Notkin came to the UW in 1984 after receiving his doctorate from Carnegie Mellon University. He served as chair of the computer science and engineering department from 2001 to 2006, helping to open the Paul G. Allen Center for Computer Science & Engineering. He most recently served as the College of Engineering’s associate dean of research and graduate studies. Notkin’s research was in software engineering, with a particular focus in software evolution. He received a number of awards for his work, including a National Science Foundation Presidential Young Investigator Award and the UW Distinguished Graduate Mentor Award. In February, hundreds of Notkin’s friends honored him at Notkinfest, a tribute to his personal and professional contributions. The graduate student fellowship was announced at the event. A memorial service will be held at Bikur Cholim Cemetery in Seattle at 3 p.m., April 23. All are welcome to attend. More information is on Notkin’s CaringBridge webpage.